Players are on their final break of the night and will return in 15 minutes to finish off the last two levels of play. With the board showing and more than 3,000 worth of bets in front of him, Jeffrey Lisandro faced off against one opponent. He casually flicked out a bet which his opponent called quickly. 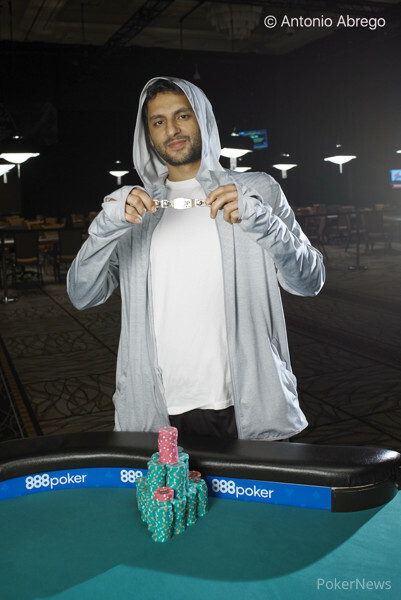 Lisandro showed for the nut flush and that was good to scoop the entire pot. Lisandro moves above the starting chip stack after taking down that pot. On a board of Jason Mercier moved all in for less than a bet. The other player in the hand called, bringing the three to a river. On the river, the player first to act bet and the other player called. "Let me guess, nut nut?" the caller asked. And he was correct as the bettor turned up for the nut flush and the nut low. With that, Mercier hit the rail as the player raked in his chips. A total of 905 players registered for this event creating a prize pool of $1,357,500. The winner of this event will take home $238,620. Making it to the final table will earn you at least $16,726, while a mincash will take home $2,253. Of the 905 players, 136 will cash. A full prize pool will be posted momentarily. As the limits go up, more and more players are dropping from the field. In the last level, Shannon Shorr, Mike Sexton, David Benyamine, and Perry Friedman all busted. Jeffrey Lisandro raised and got calls from the button and the big blind. On the flop, all three players checked. The turn was the and the big blind bet. Lisandro and the button called. On the river, all three players checked again. Lisandro showed for a low, while the player on the button showed for kings up. The two chopped the pot. 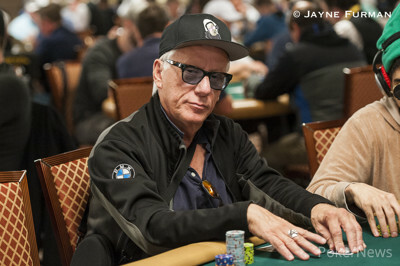 Three players called preflop, including James Woods, prompting a check from the big blind. The flop came , and one player led at the pot. The three others called. On the turn, action checked to James Woods, who bet. The other three players folded and Woods took down the pot to add to his growing stack. "I always think you're bluffing," the player in the big blind said. "I've played like six hands the last three days," Woods said. "I had baby clubs and the nut low."